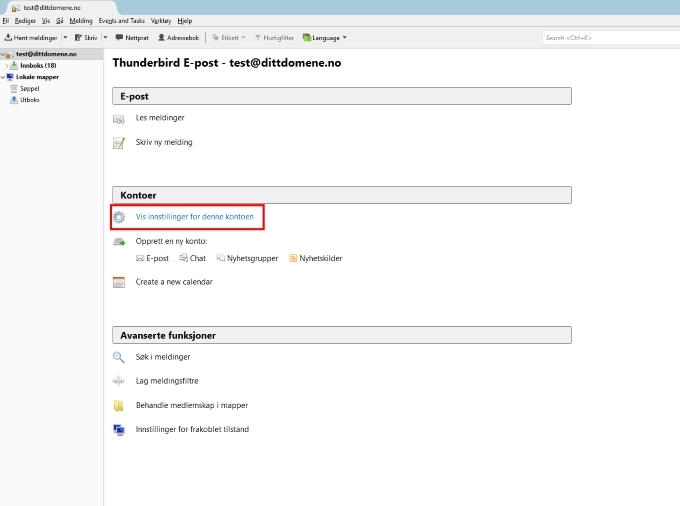 Follow this guide to edit your existing email account in Thunderbird for Windows. 1. Click on your email account on the list to the left and select «Show settings for this account». 2. 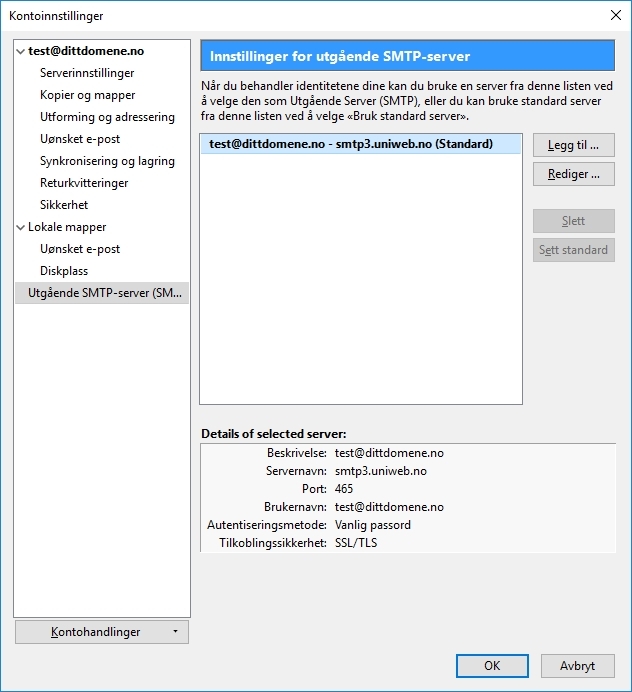 In this window, write mail.uniweb.se in «Server name». Use «Port» 143. Select «STARTTLS» in «Connection security». Use «Password» as «Authentication method». 3. 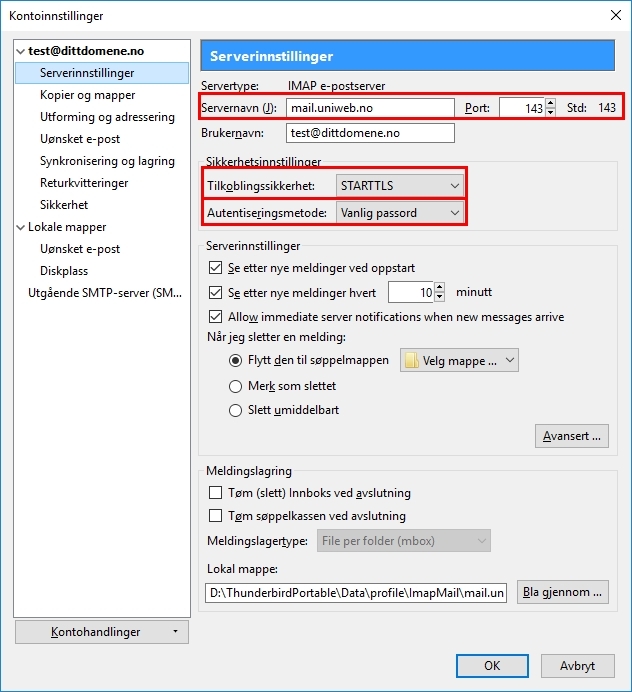 Select «Outgoing SMTP server (SMTP») at the bottom of the list to the left. Select your outgoing server and click «Edit». 4. 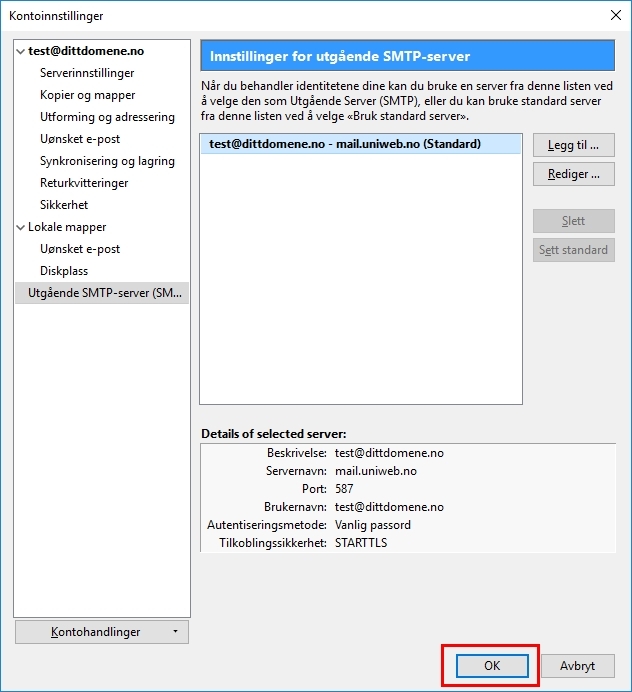 Write smtp.uniweb.se as «Server name». Use «Port» 465. 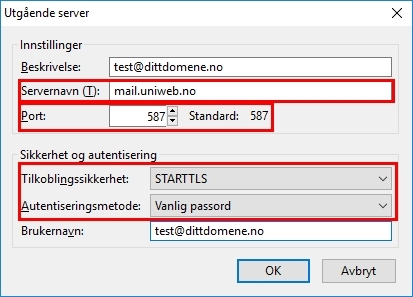 Select «STARTTLS» as «Connection security». Select «Password» as «Authentication method». Make sure you have your complete email address in «Username». Click «OK». 5. Click «OK» in this window, and all changes are saved.